If you’ve ever considered self-publishing or would simply like to know more about the self-publishing business, come see Apex Book Manufacturing and BookLogix Publishing Services CEO Ahmad Meradji on Tuesday, March 8 for a self-publishing tutorial. Hosted by the University Press of North Georgia and Co-Sponsored by the North Georgia College and State University Library Technology Center, the seminar will take place in the Special Collections Room of North NGCSU’s Library Technology Center at 6:30 p.m. Door Prizes will be given out, as well as one big prize given out to the winner of a contest to be held at the end of the seminar. Meradji has made a number of appearances to speak about self-publishing, including the Atlanta Journal Constitution Decatur Book Festival. He has been working in digital printing since his time at Xerox, where he helped introduce digital book publishing. Based out of Alpharetta, Georgia, BookLogix Publishing Services, Inc. has been assisting its clients with self-publishing and print-on-demand services for more than twenty-five years and provides a wide variety of options for those interested in self-publishing, including editorial services and book design. Because of its customer support and low pricing, BookLogix is a competitive figure in the self-publishing industry. BookLogix offers titles in a number of genres, ranging from romance fiction to political nonfiction. This event is free and open to the public. There will be a small reception with refreshments in the Library Lobby following the seminar. For more information, contact April Loebick at the University Press of North Georgia, upng@northgeorgia.edu . The new Stonepile Writers Anthology has been released and is for sale! Get your copy now! Only $15.00. Yes, it’s officially fall and temperatures are dropping slowly, but we’re not looking for that kind of cover. The Stonepile Writers’ Anthology needs a cover, so we’re having a contest. The prize is (drumroll) YOU will become the designer of a book cover! Oh yeah, there’s the $100, too. Fame and fortune can be yours, and we’d like to help. We ask that you read the stipulations below and then submit your entry. We know you’re talented and creative. Here’s your chance to prove it! Contest is open to ALL NGCSU students, staff, and faculty. Submissions will be reviewed by the University Press of North Georgia Faculty Board. The winning submission will be used as the permanent cover for the anthology, with the artist credited on the Acknowledgements page (and included in all advertising for the book). When helping decide on the group’s name, Dr. Alice Sampson, Director of the Georgia Appalachian Studies Center, wrote: “For several months while in graduate school, I passed Princess Trahlyta’s grave at Stonepile Gap, making my way up the mountain to Woody Gap School…It is also called Stonepile Gap. According to roadsidegeorgia.com, Stonepile Gap is the burial site of a Cherokee Indian princess. It has become a custom for a passersby to drop a stone on the grave for good luck. The submitted art-work should be some form of visualization of this concept (an example of such visualization is available at http://stonepilewriters.edublogs.org/). Please email all submissions as an attached file to upng@northgeorgia.edu. The subject line must read: COVER ART/Stonepile Writers. Please include in the email your contact information. Book Readings today at the North Georgia College & State University Library and Technology Center from 1-2 pm. Meet the editors whose idea will bring out the activist in you! Purchase your own copy to read and inspire you. 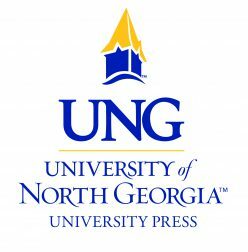 The University Press of North Georgia is now accepting submissions for the Stonepile Writers’ Anthology. The Stonepile Writers is a writing group based in Northeast Georgia, and they would like to invite writers from every corner to submit their previously unpublished works. Send in your best poetry, prose, short stories, essays, short memoirs, creative non-fiction, etc. Please e-mail submissions to upng@northgeorgia.edu for review. Post all submissions in the body of the e-mail. No attachments, please. Identify the type of writing (poetry, short story, etc) in the subject line of the e-mail. Also, include your mailing address in the e-mail. The University Press of North Georgia retains first use copyright of material submitted. After publication, rights revert back to the author. Anne Amerson will be reading from her latest novel, Dahlonega’s Gold. Dahlonega’s Gold is a historical novel, following a young married couple from the 1830s to the death of the wife (Keziah) in 1900. They travel to North Georgia for the Gold Rush, and the husband (Lafayette, a.k.a. ) also participates in the 49 California Gold Rush. She lives to see the building of North Georgia Agricultural College, and her grandson graduates as a cadet. Sponsored by the Visiting Author Series, the Department of English, and the University Press of North Georgia.